Some of you might know that my partner and I have been following the Australian Pastry Team for two years in order to document their journey to Singapore for the Asian Pastry Cup, and then France for the World Pastry Cup. Some of you might know that I was overseas last April-May, namely Singapore and France, sorry it took me so long to sort all that out. I’m back now, with lots of great memories I’d like to share with you! First and foremost, let me tell you about the Asian Pastry Cup, a competition organised by French brands Valrhôna (chocolate) and Ravifruit (fruit purees) to select the best teams from the Asia-Pacific area. 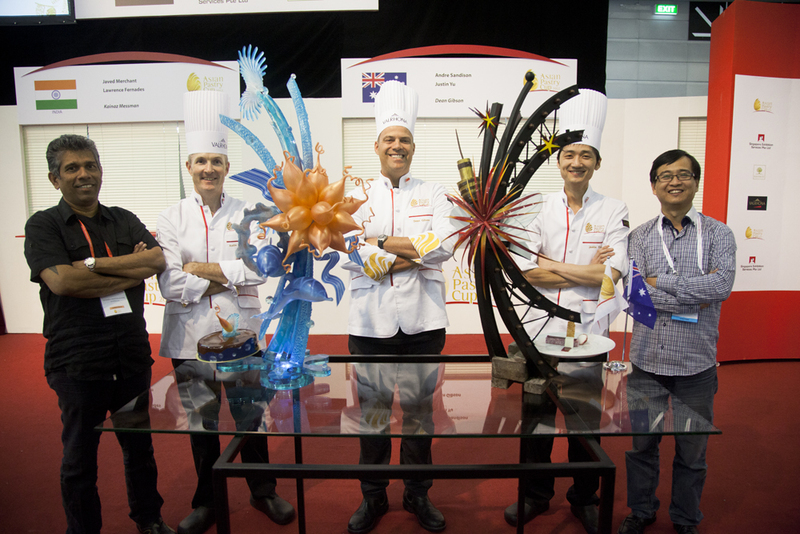 The top 4 will be able to compete in the World Pastry Cup, which will be held as part of the renowned SIRHA (a huuuge fine food show) in Lyon next January. 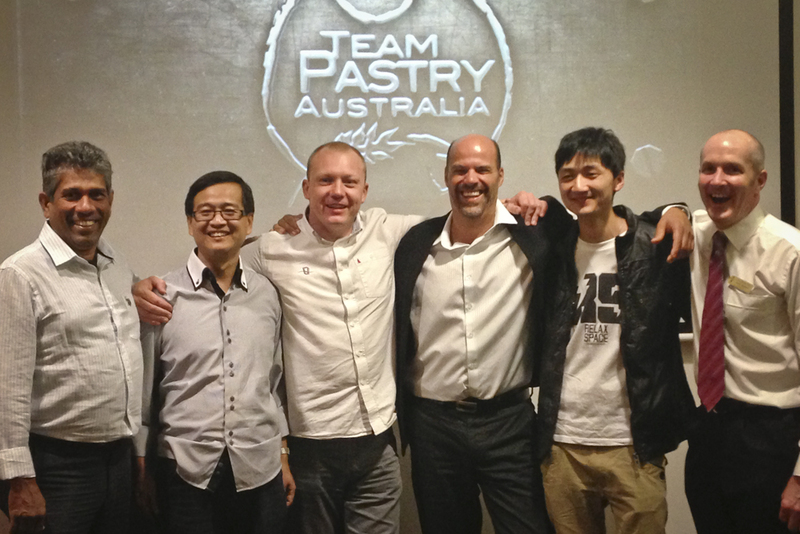 My partner and I have been following the Australian team closely for more than a year to document their preparation and training for the Asian Pastry Cup and we flew to Singapore last April to witness this crucial step in their journey to the “Coupe du Monde”.